JHAPA, Feb 4: In an apparent move to consolidate his voter base, Prime Minister KP Oli has launched seven big projects worth billions of rupees in his constituency, Jhapa-5. The government is spending additional Rs 18.77 billion in the hometown of Prime Minister Oli through seven different projects. Prime Minister Oli's district is by far the largest budget recipient from the federal government as an industrial park project worth Rs 333 billion is already in the process of implementation through Chinese aid. The projects are mainly concentrated in Kamal Rural Municipality, Gauradaha Municipality, and in the northern part of Damak Municipality. The rest of the district has not received even a single mega project under PM Oli's leadership. 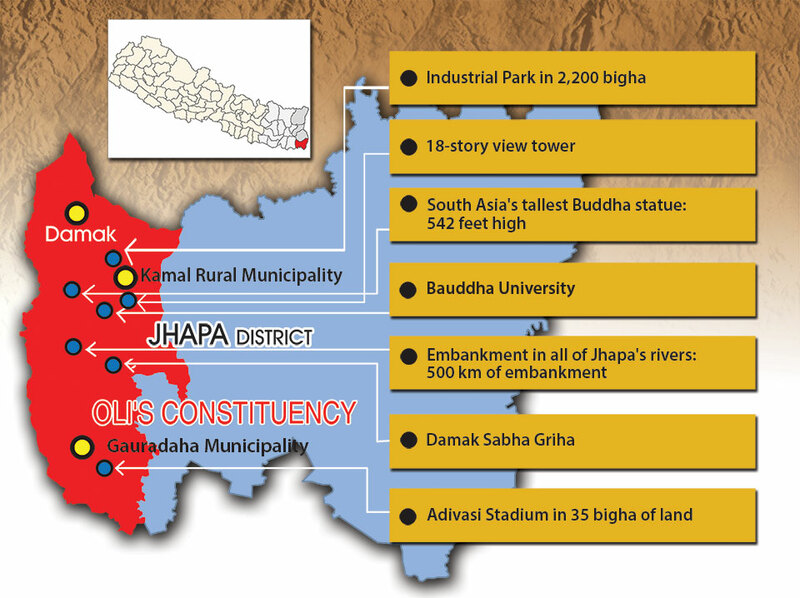 One of the major projects in Jhapa is an industrial park sprawling across 2,200 bigha [1490 hectares] of land in Damak for which Prime Minister Oli had already signed an agreement with China during his earlier stint as prime minster in 2015/16. Land acquisition for the industrial park has been completed and compensation for the acquired land is being distributed. 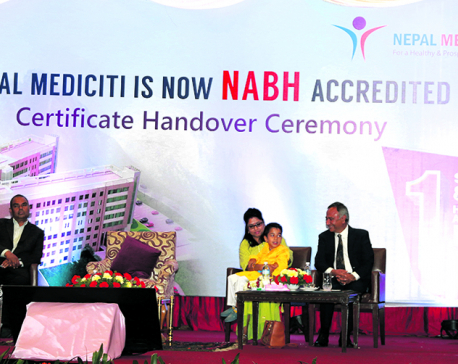 So far, compensation for 421 bigha [285 hectares] of land has been distributed and the ownership of 942 bigha [638 hectares] of land has already been brought under the Industrial Districts Management Limited, according to Nanda Kishor Basnet, the chairman of the company. “Land acquisition in Kamal Rural Municipality and Gauradaha Municipality is under way,” he added. Ward 3 of Damak Municipality will also have South Asia's tallest Buddha statue, which will stand 542 feet high. However, the land acquisition for this project has yet to start due to dispute with a community forest. The constitution provides the ownership of forest equally to federal and province levels and that has complicated land acquisition in the areas, according to Damak Municipality. The project will sprawl over 254 bigha [172 hectares] of land and will cost around Rs 15.75 billion. “The detailed project report (DPR) for the project is ready. We are currently discussing the project with donor countries,” said Nabin Baral, chairman of ward-3, Damak. He further said that the project has been initiated to attract tourists travelling to Lumbini. Along with this, Bauddha University, school and meditation centers will also be built in Damak-3. China, South Korea, Myanmar and Vietnam will be investing in the project. Likewise, another major project is to build embankments along all the rivers in Jhapa district. A Chinese team has already submitted a DPR of the project and the work will begin later this year. “Once the embankments are built along all the rivers, these will protect the residential areas as well as the fertile land from the monsoon floods,” said Som Portel, chief of the District Coordination Committee, Jhapa. According to Arbind Kumar Gupta, senior engineer at the Department of Water Induced Disaster Prevention, embankments will be built on either side of the rivers in the district. When the project is completed, Jhapa will have a total of 500 kilometers of embankment. Similarly, an 18-story view tower to be built in Damak with an estimated cost of Rs 2.74 billion is now open for bidding. Also a Damak Conference Hall costing around Rs 284 million has been planned. Both the projects will be constructed by the Ministry of Urban Development. Talking to Republica, Uttam Bhattarai, chief of Damak Multiple Campus, said that PM Oli, who was earlier criticized for not doing anything for his hometown, has finally fulfilled his commitment. 4. Embankment in all of Jhapa's rivers: 500 kilometers of embankment, beginning with nine rivers this year. Agreement signed with Chinese government. 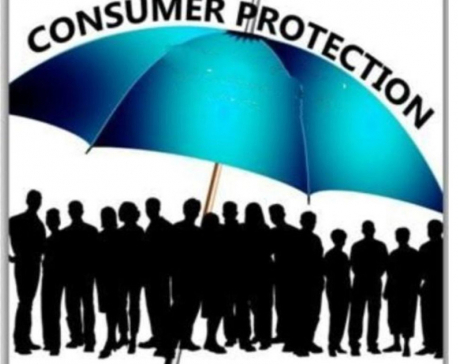 KATHMANDU, March 15: Prime Minister KP Sharma Oli has said that the consumers need to beware to secure their rights.